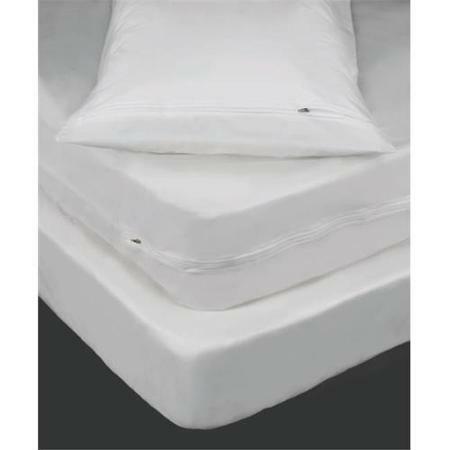 Latest Products offers a full line of pillow covers and mattress products to protect against bed bugs and dust mites. We offer our 6 Gauge vinyl zippered pillow covers to protect your fabric pillows. Comes with a brushed silk finish and rust-proof polyester zippers. Or choose our stretch polyester knit zippered pillow covers for maximum protection against bed bugs, dust mites and other allergens. Machine washable. 3 sizes available. All pillow protectors come in cases quantities (no broken cartons please). If you have a special requirement that does not appear, please contact us at 1-800-288-3547. All information passed to or from the website is secured with full 256-bit SSL Encryption.